What Will it Do for BART’s Infrastructure and Efficiency? On September 27, 2016, Wendel Rosen’s Construction Infrastructure Forum will host a special presentation on BART’s Measure RR for capital infrastructure. This invitation-only event is complimentary for clients and guests of Wendel Rosen. Space is limited. On November 6th, Bay Area voters will be asked to approve a $3.5 billion bond measure for BART to be used for capital repairs. The bond measure includes $625 million to replace worn out tracks, $570 million to repair tunnels and structures, $135 million to replace mechanical infrastructure, $400 million to replace the outdated train control system to get trains running faster, and $210 million in station improvements. Another $445 million will be devoted to relieving crowding at stations. Join BART General Manager Grace Crunican and BART Director Nick Josefowitz for a sneak peek behind the scenes to find out the different types of construction projects and opportunities this will create for the local construction, design, and engineering community as BART strives to keep trains running safely and reliably while ensuring traffic flows in the decades to come. 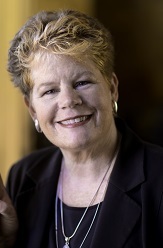 Grace Crunican was appointed General Manager of the San Francisco Bay Area Rapid Transit District by the BART Board of Directors on August 31, 2011. She oversees a staff of more than 3,800 employees and a $15 billion transportation infrastructure. The Board of Directors selected Ms. Crunican because of her 32 years of experience in the public transportation industry, her proven leadership abilities, and her focus on providing safe and reliable transportation services for all Bay Area Communities. She brings to BART a reputation for transparency and accountability. 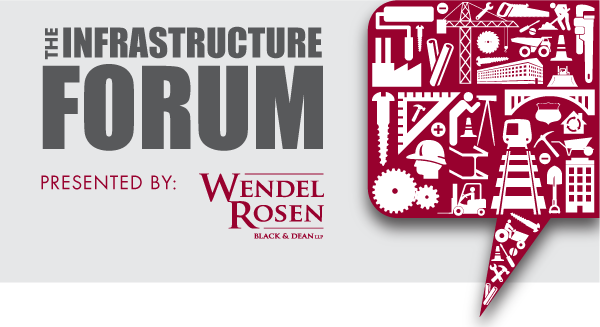 The Infrastructure Forum is hosted by the Wendel Rosen Construction Practice Group. The Forum Series brings together high-level stakeholders interested in Bay Area infrastructure projects to share new developments, opportunities and best practices. This is a complimentary event for clients and guests of Wendel Rosen.